My son had a project in downtown LA, so I got to be the chauffeur and tourist for the day. 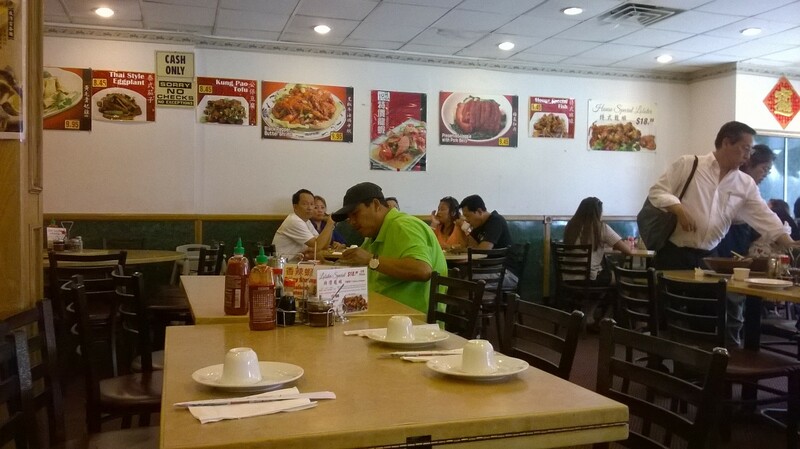 I thought it would be a good idea to have lunch in Chinatown beforehand since the sights were very closed by. I remember that there was a Sam Woo BBQ in Chinatown from way back, and I figured that my son might enjoy a nice bowl of Wonton Noodle. We found parking not too far from the restaurant. The place was not too busy, and service was brisk. I did not see Wonton Noodle on the menu, so I asked the waiter whether they serve that. He said that the Wonton Noodle is their signature dish. Great! 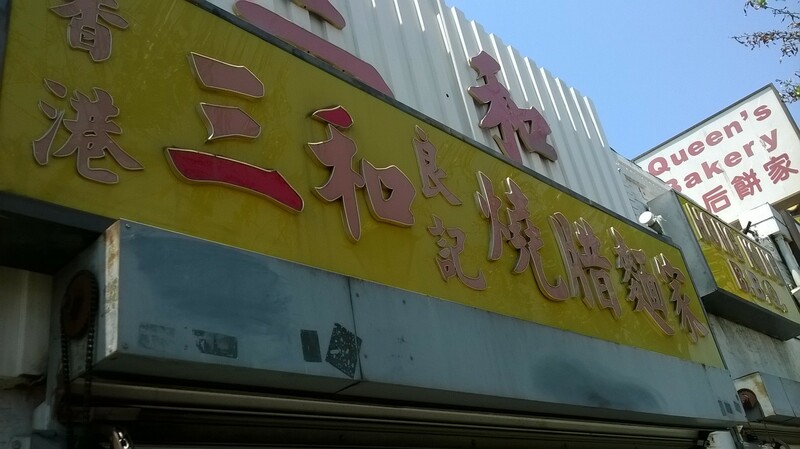 It must have been less than 3 minutes from ordering to getting the 2 huge bowls of noodles to arrive at our table – that was the fastest delivery of food that I had ever encountered from a sit down restaurant (probably even faster than any fast food order)! 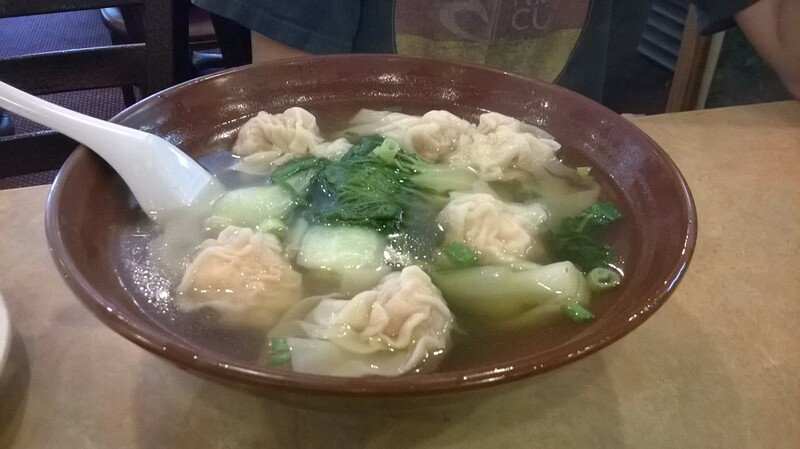 What was even better was the fact that these wontons were BIG, and there were at least seven of them in the large bowl, with very thin noodles at the bottom. My son commented that the noodle tasted a lot like his favorite place in Milpitas, so he was quite happy about that. And I was delighted that there were ample fresh Chinese vegetables floating on top. Afterwards, we visited Olvera Street, the Chinese America Museum, and Union Station. I had never even known about the existence of Union Station – such a grand structure. I did not realize the amount of walking I was going to be doing after years of minimal walking in Los Angeles. I did not have the right type of shoes and there was a blister at the back of my foot when I got home.